Usury is the practice of charging unreasonably high, exorbitant, and sometimes illegal interest rates on loans. Usury can also include late fee charges for collections. Each state in America has its own statute which dictates how much interest can be charged before it is considered usurious or unlawful. ALABAMA – the legal rate of interest is 6%; the general usury limit is 8%. The judgment rate is 12%. ALASKA – the legal rate of interest is 10.5%; the general usury limit is more than 5% above the Federal Reserve interest rate on the day the loan was made. 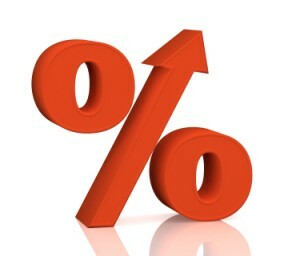 ARIZONA – the legal rate of interest is 10%. ARKANSAS – the legal rate of interest is 6%; for non-consumers the usury limit is 5% above the Federal Reserve’s interest rate; for consumers the general usury limit is 17%. Judgments bear interest at the rate of 10% per annum – or the lawful agreed upon rate – whichever is greater. CALIFORNIA – the legal rate of interest is 10% for consumers; the general usury limit for non-consumers is more than 5% greater than the Federal Reserve Bank of San Francisco’s rate. COLORADO – the legal rate of interest is 8%; the general usury limit is 45%. The maximum rates to consumers is 12% per annum. CONNECTICUT – the legal rate of interest is 8%; the general usury rate is 12%. In civil suits where interest is allowed – it is allowed at 10%. DELAWARE – the legal rate of interest is 5% over the Federal Reserve rate. DISTRICT OF COLUMBIA – the legal rate of interest is 6%; the general usury limit is in excess of 24%. FLORIDA – the legal rate of interest is 12%; the general usury limit is 18%. On loans above $ 500,000 the maximum rate is 25%. GEORGIA – the legal rate of interest is 7%; On loans below $ 3,000 the usury limit is 16%. On loans above $ 3,000 – the limit appears to be 5% per month. As to loans below $ 250,000 the interest rate must be specified in simple interest and in writing. HAWAII – the legal rate of interest is 10%. The usury limit for consumer transactions is 12%. IDAHO – the legal rate of interest is 12%. Judgments bear interest at the rate of 5% above the U.S. Treasury Securities rate. ILLINOIS – the legal rate of interest is 5%. The general usury limit is 9%. The judgment rate is 9%. INDIANA – the legal rate of interest is 10%. Presently there is no usury limit; however – legislation is pending to establish limits. The judgment rate is also 10%. IOWA – the legal rate of interest is 10%. In general consumer transactions are governed at a maximum rate of 12%. $ 1,000 is 18% – above $ 1,000 – 14.45%. KENTUCKY – the legal rate of interest is 8%; the general usury limit is more than 4% greater than the Federal Reserve rate or 19%,whichever is less. On loans above $ 15,000 there is no limit. Judgments bear interest at the rate of 12% compounded yearly – or at such rate as is set by the Court. MAINE – the legal rate of interest is 6%. Judgments below $ 30,000 bear 15% – otherwise they bear interest at the 52 week average discount rate for T-Bills – plus 4%. MARYLAND – the legal rate of interest is 6%; the general usury limit is 24%. There are many nuances and exceptions to this law. Judgments bear interest at the rate of 10%. MASSACHUSETTS – the legal rate of interest is 6%; the general usury rate is 20%. Judgments bear interest at either 12% or 18% depending on whether the court finds that a defense was frivolous. MICHIGAN – the legal rate of interest is 5%; the general usury limit is 7%. Judgments bear interest at the rate of 1% above the five year T-note rate. MINNESOTA – the legal rate of interest is 6%. The judgment rate is the “secondary market yield” for one year T-Bills. Usury limit is 8%. MISSISSIPPI – the legal rate of interest is 9%; the general usury limit is more than 10% – or more than 5% above the federal reserve rate. There is no usury limit on commercial loans above $ 5,000. The judgment rate is 9% or a rate legally agreed upon in the underlying obligation. MONTANA – the legal rate of interest is 10%; the general usury limit is above 6% greater than New York City banks’ prime rate. Judgments bear interest at the rate of 10% per annum. NEBRASKA – the legal rate of interest is 6%; the general usury limit is 16%. Accounts bear interest at the rate of 12%. Judgments bear interest at the rate of 1% above a bond yield equivalent to T-bill auction price. NEVADA – the legal rate of interest is 12%; there is no usury limit. NEW HAMPSHIRE – the legal rate of interest is 10%; there is no general usury rate. NEW JERSEY – the legal rate of interest is 6%; the general usury limit is 30% for individuals – 50% for corporations. There are a number of exceptions to this law. NEW MEXICO – the legal rate of interest is 15%. Judgment rate is fixed by the Court. NEW YORK – the legal rate of interest is 9%; the general usury limit is 16%. NORTH CAROLINA – the legal interest rate and the general usury limit is 8%. However – there is a provision for a variable rate – which is 16% or the T-Bill rate for non-competitive T-Bills. Above $ 25,000 there is no express limit. However – the law providing for 8% is still on the books- be careful and see a lawyer! NORTH DAKOTA – the legal rate of interest is 6%; the general usury limit is 5 1/2% above the six-month treasury bill interest rate. The judgment rate is the contract rate or 12% – whichever is less. A late payment charge of 1 3/4% per month may be charged to commercial accounts that are overdue provided that the charge is revealed prior to the account being opened and that the terms were less than thirty days – that is – that the account terms were net 30 or less. OREGON – the legal rate is 9% – the judgment rate is 9% or the contract rate – if lawful – whichever is higher. The general usury rate for loans below $ 50,000 is 12% or 5% above the discount rate for commercial paper. PENNSYLVANIA – the legal rate of interest is 6% – and this is the general usury limit for loans below $ 50,000 – except for: loans with a lien on non-residential real estate; loans to corporations; loans that have no collateral above $ 35,000. Judgments bear interest at the legal rate. It is criminal usury to charge more than 25%. PUERTO RICO – the legal rate of interest is 6%; all other rates are set by the Finance Board of Office of Commissioner of Financial Institutions. Judgments bear interest at the same rate as the underlying debt. RHODE ISLAND – the legal rate of interest and judgment rate is 12%.The general usury limit is 21% or the interest rate charged for T-Bills plus 9%. SOUTH CAROLINA – the legal rate of interest is 8.75% – and judgments bear interest at the rate of 14%. Subject to federal criminal laws against loan sharking there is no general usury limit for non- consumer transactions. The South Carolina Consumer Protection code provides regulations for maximum rates of interest for consumer transactions. Please consult with counsel for the latest rates. SOUTH DAKOTA – the legal rate of interest is 15% – judgments bear interest at the rate of 12%. There is no other usury limit. There are certain limitations on consumer loans below $ 5,000.00. TENNESSEE – the legal rate and judgment rate of interest is 10%. The general usury limit is 24% – or four points above the average prime loan rate – WHICHEVER IS LESS. TEXAS – the legal rate of interest is 6%. Interest does not begin until 30 days after an account was due. The judgment rate of interest is 18% or the rate in the contract – whichever is less. There are a number of specific ceilings for different types of loans – please see counsel for information. UTAH – the legal rate of interest is 10%. Judgments bear interest at the rate of 12% – or a lawfully agreed upon rate. There are floating rates prescribed for consumer transactions. Please see counsel for information. VERMONT – the legal rate of interest and judgment rate of interest is 12%. On retail installment contracts the maximum rate is 18% on the first $ 500 – 15% above $ 500. The general usury limit is 12%. VIRGINIA – the legal rate of interest is 8%. Judgments bear interest at the rate of 8% – or the lawful contract rate. Corporations and business loans do not have a usury limit – and loans over $ 5,000 for “business” or “investment” purposes are also exempt from usury laws. Consumer loans are regulated and have multiple rates. WASHINGTON – the legal rate is 12%. The general usury limit is 12% – or four points above the average T-Bill rate for the past 26 weeks – whichever is greater. (The maximum rate is announced by the State Treasurer.) Judgments bear interest at the rate of 12% or the lawful contract rate – whichever is higher. WEST VIRGINIA – the legal rate of interest is 6%. The maximum “contractual” rate is 8%; Commissioner of Banking issues rates for real estate loans – and – may establish maximum general usury limit based on market rates. WISCONSIN – the legal rate of interest is 5%. There are a myriad of rates for different type of loans. There is no general usury limit for corporations. Note that a loan to an individual – even if a corporation is formed – will violate the law. The judgment rate of interest is 12% – except for mortgage foreclosures – where the rate will be the lawful contract rate. WYOMING – the legal rate and judgment rate of interest is 10%. If a contract provides for a lesser rate – the judgment rate is the lesser of 10% and the contract rate.